PORTLAND, Ore. -- A company in Portland, Ore., hopes to make new strides with a new kind of high rise. 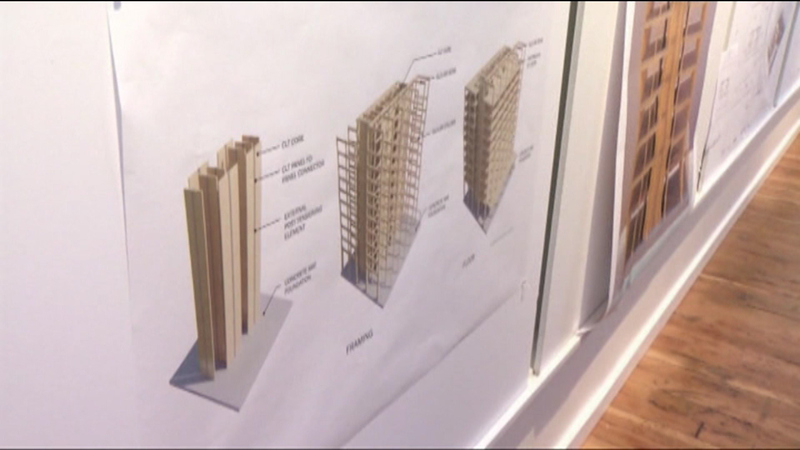 While many high-rise buildings are made from steel and concrete, a Portland company plans to construct a 12-story building out of wood. But this isn't just any old wood. The company uses cross-laminated timber, which is stronger and lighter than regular timber. The developers say high-rise wood buildings are already popular in Switzerland and some parts of England and Canada.